Column: How much more are women’s basketball fans going to take? The beat seems to only go on…and on…and on for women’s basketball fans. It is bad enough that we have to sit and watch as these women that make up the game get constantly and habitually disrespected, made fun of, and bullied just because they are living out their hoop dreams. As we know, those in this constant state of hate are secretly upset with themselves for not living out theirs. The SNL WNBA “Golddiggers” skit was bad enough in terms of reinforcing homophobic stereotypes as they relate to WNBA players. It was one that a number of W luminaries called out on social media. If the way that they were mistreated in the SNL skit was one thing, consider this. The selection show for the NCAA Women’s Basketball Tournament was supposed to take place on Monday at 7 p.m. That is, of course, when the full field for this year’s tournament would be revealed and teams would know exactly where they would be heading to for the tourney’s first round. Instead – something else happened. The something else was the leak of the bracket for the tournament well before the selection show. Granted…a few years ago, a similar thing happened with the men’s basketball bracket where it too was the focal point of an erroneous leak which affected the selection show on the CBS/Turner networks. 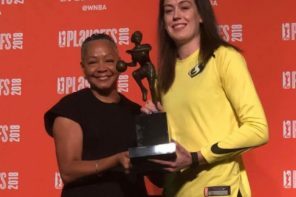 As many pointed out on Twitter, the leak of the women’s bracket did not only affect the teams, coaches, and fans who wanted a proper rollout of the women’s March Madness field of 64, but teams across the country who were holding selection Monday parties all of a sudden had them dashed because they knew in advance if they were in or not. So…in a few years, we have encountered leaks of both the men’s bracket and women’s bracket. But our point is this…which one do you think became more of a headline news story in the mainstream? Which leak do you think would have bigger consequences for the networks in charge? Which leak do you think would have more people on social media calling for heads to roll? The answer should be obvious to those of us with a passion for the game. …bracket, seeing his Huskies as a 2 seed, and promptly spitting on said bracket. But it appears to be an unfortunate par for the course with the way the women’s game is treated as less than the men’s game. 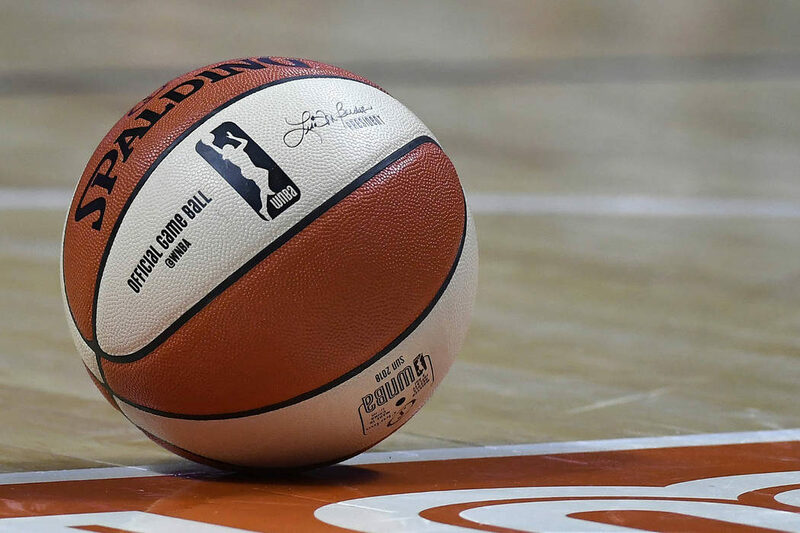 There is a part of us that has to wonder how much us as women’s basketball aficionados will stand. But at the same time, we also have to be optimists. 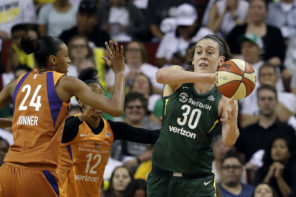 After all the presence of the WNBA has only increased the platform of the women’s game at the collegiate level the same way the NBA has done for the men’s game. Progress is a marathon and not a sprint. Rome was not built in a day and nothing worth ever having in life will come easy. But it always has throughout history whether it happened in 24 hours or 24 years. We will get there. We will get there. We WILL get there.